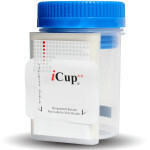 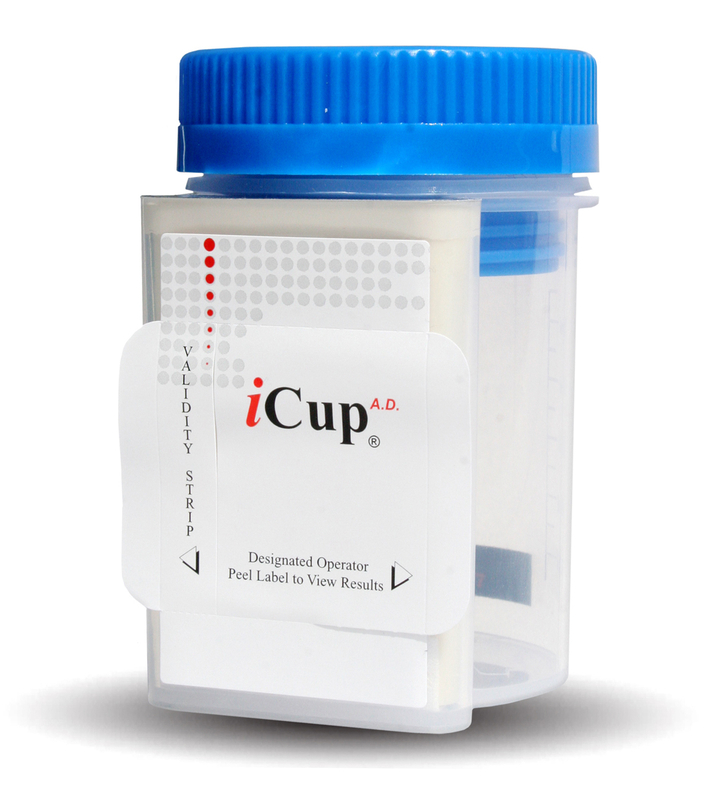 This innovative drug test cup design eliminates urine handling and donor tampering. 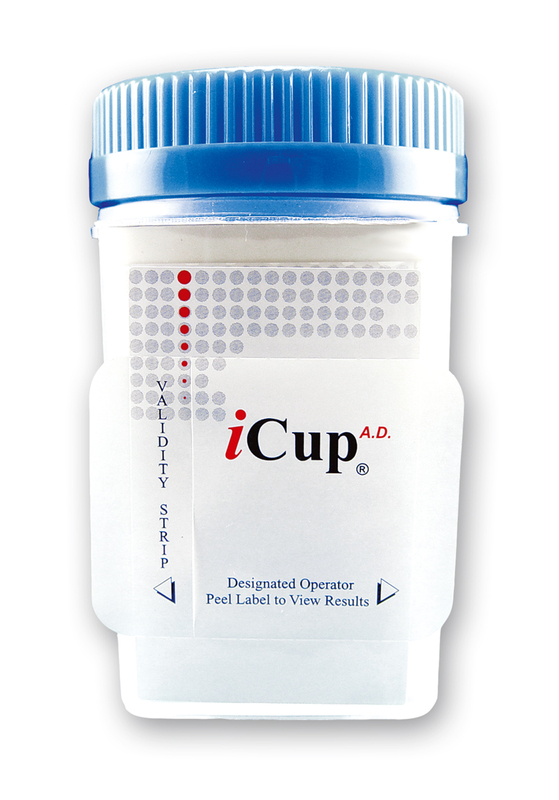 The iCup® A.D detects the presence of drugs within 5 minutes and contains an adulteration strip that verifies the validity of the specimen. 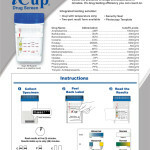 The adulteration strip checks for oxidants, specific gravity and pH in the specimen. 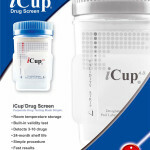 Lab levels on positives can be sent in the same cup to RSI LABORATORIES. 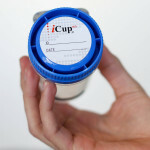 The flat front surface allows the results to be photocopied. 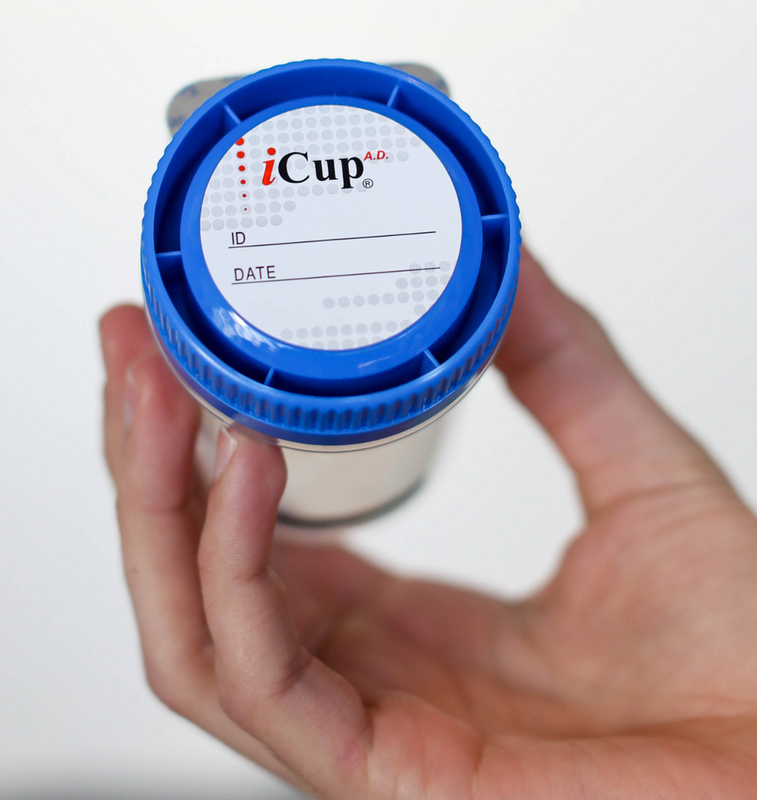 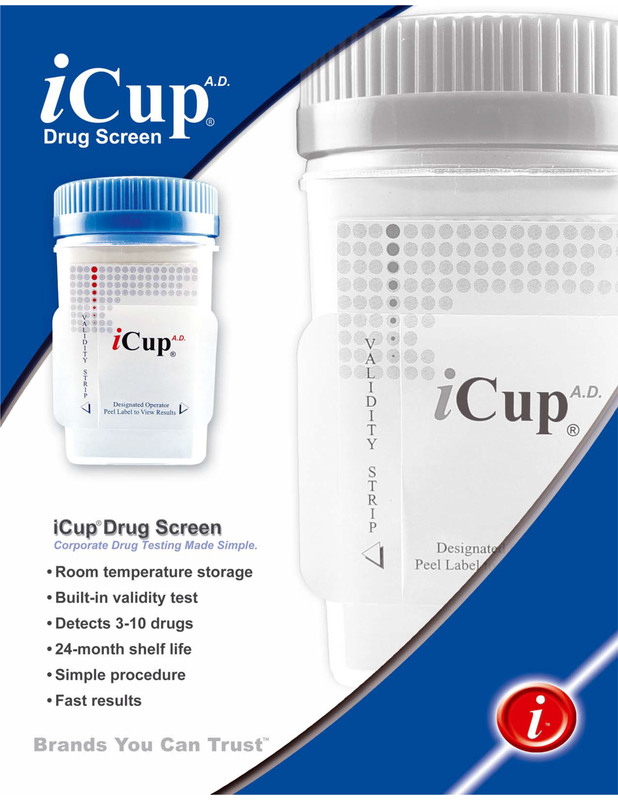 iCup offers room temperature storage, a 24-month shelf life, and is available in 3-13 different drug configurations. 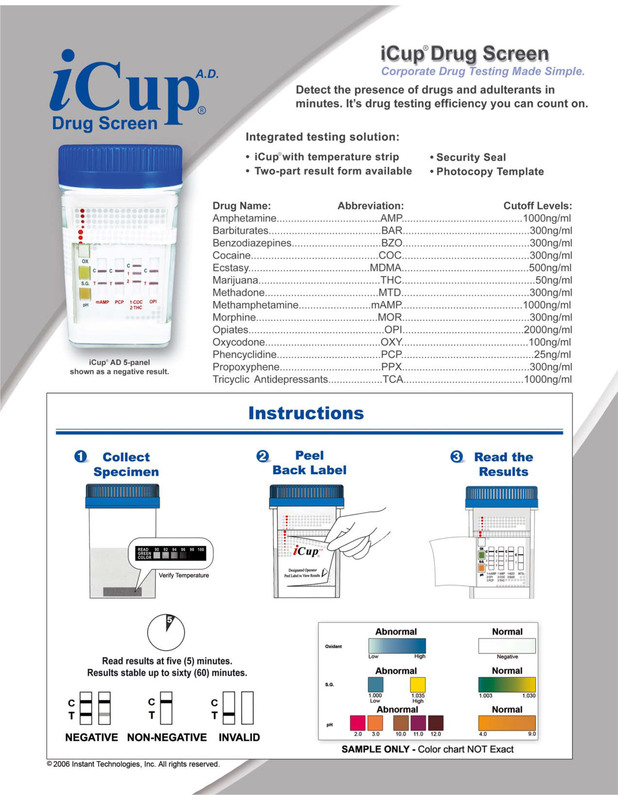 Positive drug results from the instant test cup can be sent in to RSI LABORATORIES for immunoassay screening and confirmatory testing as requested.